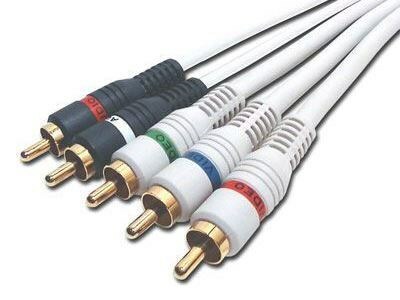 Computer Cable Store™ 12 FT Ivory Component Video and Stereo Audio Cable premium Home Theater RCA Audio cables are the perfect choice for connecting your Stereo, DVD, HD-TV, and all other home theater audio involved equipment. With Premium OFC audio cable with Gold contacts, you can expect a clean connection and top notch audio performance every time. 100 percent spiral-wound copper shielding offers protection against EMI/RFI interference and creates the perfect low loss audio cable.